Comfortable and convenient toe separators are designed specifically for professional pedicure treatments. With our disposable toe spacers, toenail care is sanitary and simplified. These products also support flawless polish application in the nail salon or spa. Our toe spacers come in a variety of styles and offer a soft, hygienic method of separating toes during pedicures. They allow nail technicians to use nail files and cuticle nippers on individual toes safely and efficiently. Toe spacing is also essential during the polish application, when freshly polished nails need to avoid contact. 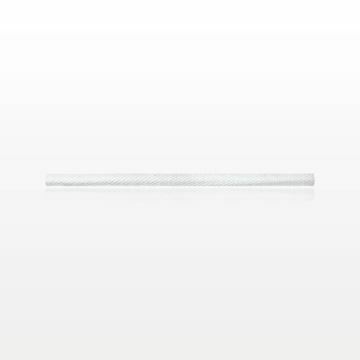 White cotton toe spacers deliver an economical option for separation. These basic pedicure products can be ordered in bulk. Another cotton product is the toe-rope, which provides lint-free separation when weaved gently between the toes. 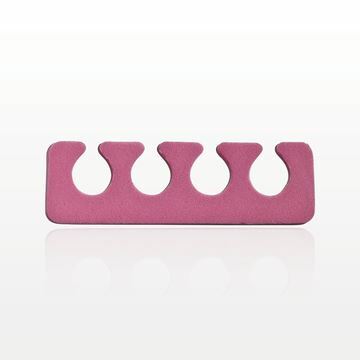 Individually packaged foam toe separators are a popular salon accessory that we can customize in large quantities. Qosmedix Customer Specialists are available to assist with customized orders. You can also request a variety of samples online quickly and easily. Quality and comfort come together in disposable toe spacers and spreaders for pedicures. These individually wrapped salon products will be welcome additions to your customers’ nail kits and spa or salon retail display. A pair of wholesale toe separators also makes a great gift-with-purchase item. Smaller, tulip-style spacers are ideal for children and teens. We stock single-use separators that maintain the sanitary nail salon environment. With our full scope of pedicure-related products, you can order pedicure toe spreaders, cuticle pushers, callus removers and a variety of high quality implements. We're dedicated to providing a manicure/pedicure selection that enhances the exclusive salon and spa experience, while addressing your unique business requirements.